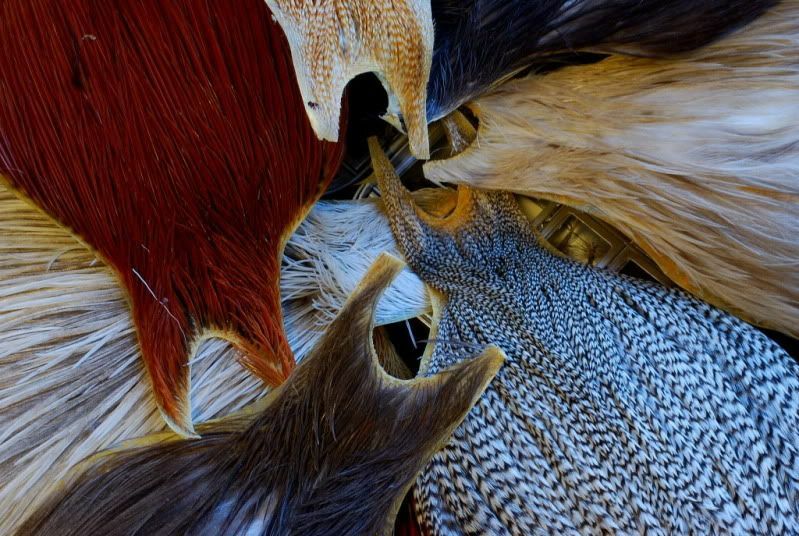 What’s a light/medium/dark dun hackle? Thread: What’s a light/medium/dark dun hackle? I’d like to tie a Hendrickson dun. This is my first dry fly and I’m confused about correct hackle to order. One of the patterns calls for medium dun and another calls for dark dun. On the feather emporium site I see lots of different choices. Re: What’s a light/medium/dark dun hackle? Also if you check this site there is a discussion on Feather Emporium you should at least read. Foreground is a dark albeit slightly plucked Blue Dun, to the left in background is a very pale or morning blue dun. At 3 O clock in background is a medium. These are according to me and a supplier may see things differently. If you can possibly hand select your capes I think that's the way to go. My colors were not based solely on recipes or charts but on what I had learned I needed to color match certain bugs. Re: Whatâ€™s a light/medium/dark dun hackle? Here’s some history on the Hendrickson... light or dark. 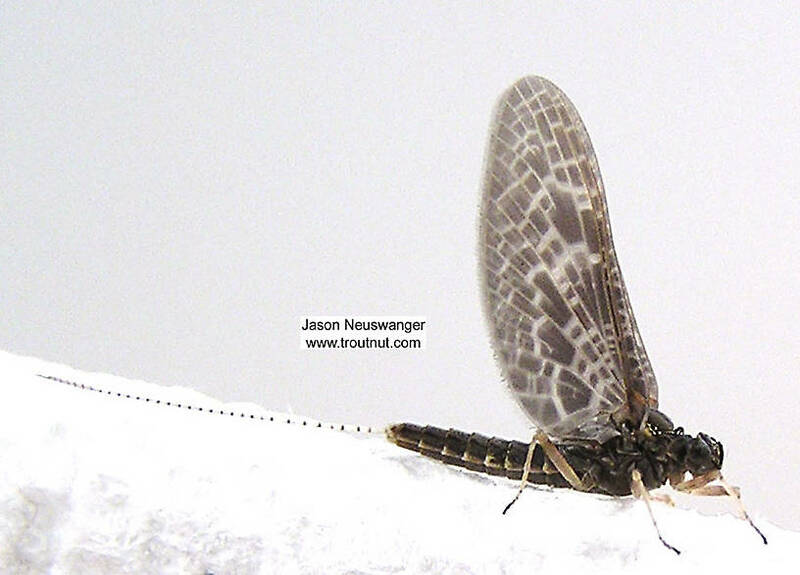 Match the color of the hackle to the mayflies in your area. The Hendricksons can be used for several hatches. Or if you want to just buy one for now.... go with the medium dun. What color you choose really depends on what color the bugs you're trying to match are. If you don't really know then shoot for the middle or go dark. I find I use dark dun and grizzly more than any other colors of hackles for my dries. In my opinion, color is the least important of the 3 properties of an artificial fly. I think size and shape are more important than color and I would place behavior while being fished (for example a drag free float) also as more important than color. For a dun, I would buy a medium first. 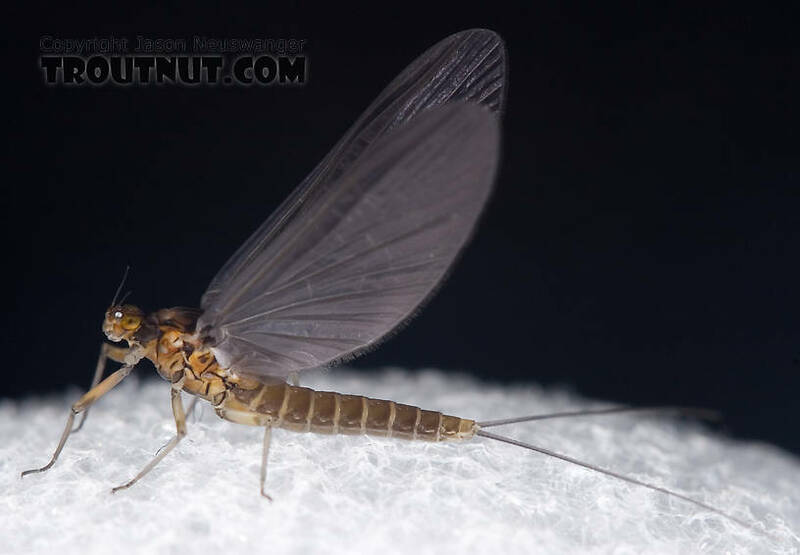 The palmered hackle in the classic/traditional dry fly represents the wing and so it is the wing color that you are trying to represent when you buy a dun hackle. Since I prefer a parachute or Compardun/Sparkledun flies as preferable to the classic/traditional dry fly, matching the wing does is not the purpose of the hackle in a parachute and the Compardun/Sparkledun used deer hair. The comparadun/sparkledun and parachutes in my opinion catch way more trout than the traditional flies anyway. Just use a grey post parachute if you need to match a blue winged olive. Even the appropriate sized parachute adams with a white post will catch trout during a BWO hatch. There are other hatches in which a parachute adams is very effective. For example, the callibaetis hatch on hatch Hebgen Lake. Here is a Callibaetis dun from Troutnut. My point is that the trout that will only take a BWO tied with dark or light dun and refuse one tied with medium dun is going to be an exception. In that case you will likely be fishing to a very selective fish and your presentation will have to be perfect as well. If you think you need 3 colors of dun hackle flies in your dry fly box = light, medium, and dark dun to match light, medium, and dark winged BWOs, you better also have a ghillie to carry all the boxes you will need to match the nymphs and other dry flies to the same degree of exactitude. If you need to be exact in color, here's an easier solution. 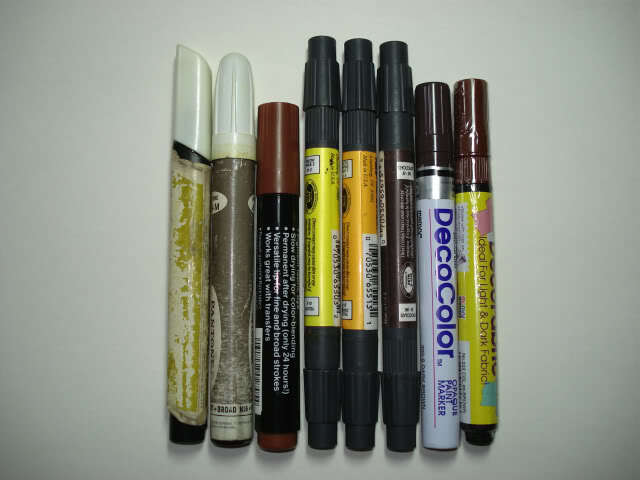 Tie the pattern in light dun and carry a dun color art marker. You will have an easier way to match the hatch. Last edited by silver creek; 02-02-2019 at 09:23 PM. Thanks for all the help. I’ll be going to fishing the Upper Delaware. I’m sure we’ll use the guides flies but I want to start tying dries anyway. I spoke with the guy at feather emporium and he directed me to the light/medium/dark brown dun capes. I picked up a half of each. After doing some more research I think I see some recipes call for brown dun and some for blue. Many of my dries used 2 hackles to create tones of color, combined with various dubbing blends you can come up with flies that will satisfy the angler and fish both. I'm surprised you actually spoke with the Feather Emporium guy.......that is the real story.